Following an article in The Daily Mail newspaper Lost & Found article by Monica Porter Brook has made contact with the group. To date so far he has not written his story even though some 6 months have passed, perhaps it will magically appear in 2015 . Brook joined the group after answering an advert placed in the Melody Maker. He lived in Blackheath. There are no records of exactly where or what job he did, or place of work. The record “Will Yer or Won’t Yer” featured Brook on Lead guitar. 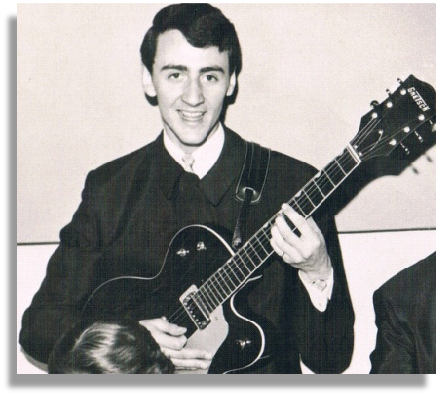 At the end of June 1964 he went with the group to Portugal playing 2 clubs. One was in Lisbon and the other near Estoril, one mentioned in a press cutting was the Canoa in Cascai, also a live TV show. Returning home mid August 1964. 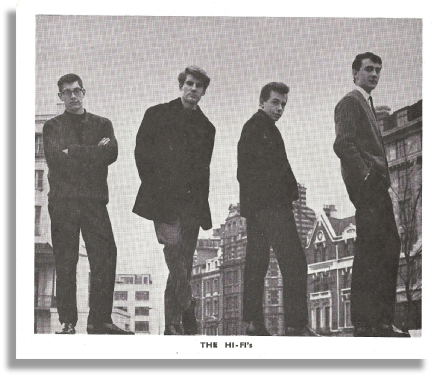 Malcolm Lenny joined The Hi-Fi’s in September 1964 and Brook went to join The Premiers(Malcolm Lenny did a swap) , and was never seen or heard from again.